PetroLMI, Division of Enform, collaborates with industry, government, educators and training agencies to support and advance the development of a sustainable, skilled and productive workforce in the upstream and midstream sectors. PetroLMI specializes in providing petroleum labour market data and insights, as well as occupation profiles and other resources for workforce and career planning. With the support of industry, PetroLMI has developed the Careers in Oil + Gas website to provide its resources and key industry information to those in workforce planning or who are planning and pursuing careers in the oil and gas industry. Looking beyond traditional supply channels? 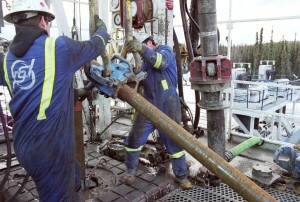 Labour challenges in the oil and gas industry mean that companies must go beyond their usual methods to find the quality workforce for which PSAC companies are known. Alberta Employment and Immigration has a number of resources available to assist employers in their search for workers. A number of organizations might also be able to help you who have ready access to qualified people and programs specifically to place people in appropriate employment. Check out the resources below. For more information on these programs and how Bow Valley College can assist your organization in finding or training the right personnel, contact Services for Employers at 403.410.3215, e-mail bvcworks@bowvalleycollege.ca, or visit their website. NAIT Employer Services connects employers with NAIT students and alumni, offering several ways to promote job and career opportunities within organizations and increase visibility on our main campus. Employers can also participate on-campus in four different ways: meet and greet students when hosting info sessions; promote career opportunities when setting up recruitment booths on campus; screen students and future graduates for hiring when booking student interview rooms; and attend the annual donor-only Career Fair on NAIT’s main campus. For more information, contact the Student Success Contact Centre at (780) 471-6248 or askNAIT@nait.ca. You can also visit the website. The Calgary Catholic Immigration Society (CCIS) has established a Mentorship for Integration program that matches internationally trained professionals with Canadians to help them transition to the Canadian job market. Mentors are volunteers and are not expected to find the mentee a job. Find out more at CCIS Mentorship for Integration. Currently, they are looking for engineers to mentor in a number of disciplines. Contact the program coordinator at 403.290.5116 or mentorship@ccis-calgary.ab.ca for details.